Project Sticker Shock is a community awareness campaign designed to educate adults who might purchase alcohol and illegally provide it to minors. The project unites youth, business owners, parents and law enforcement in a partnership striving for a common goal: to reduce underage drinking. 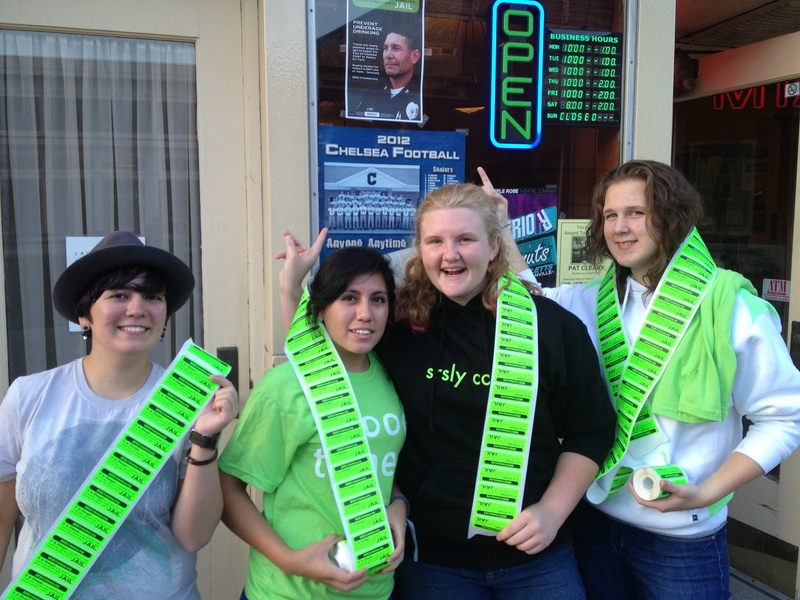 During Project Sticker Shock, students use posters and bright green stickers that read “It is illegal for any person 21 or older to purchase/provide alcohol to minors. Fines are up to $2,500 or 1 year in jail,” to deter adults from buying alcohol for minors. Stickers are placed on cases of beer and wine coolers, and offered to staff to wear for the day. Posters are placed in store entryways to help increase awareness and demonstrate each business’s commitment to keeping alcohol out of the hands of minors. The event takes place two times per year: during the weeks leading up to Homecoming in the fall, and Prom in the spring. 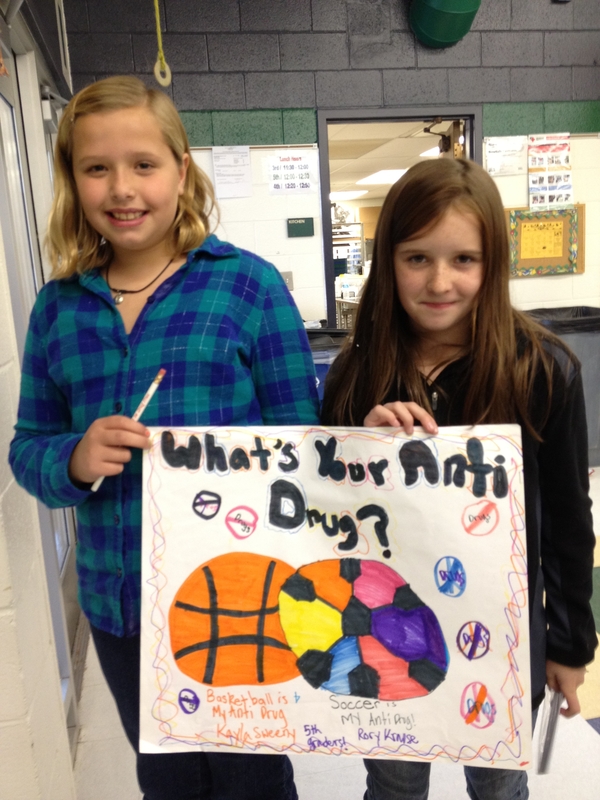 Most teens make healthy choices, and stay substance-free throughout middle and high school. But that’s not always how it seems. In fact, even though most youth don’t use drugs or alcohol, many assume “everyone is doing it.” In many SRSLY communities, more than half of teens overestimate the number of kids their age that use drugs or alcohol. The goal of SRSLY’s positive social norms campaign is to correct the misperception that “everyone” is doing it. Positive social norms showcase all the great things about teens, and reinforce the good decisions they’re making. Like the fact that 9 out of 10 Chelsea teens enjoy spending time with their parents. And 4 out of 5 have never used marijuana. See? Everyone’s not doing it. Public Service Announcmenets, or PSAs, educate and engage the community. Most SRSLY PSAs are produced by youth members of the coalition and local high school groups. Topics of PSAs range from community and family involvement, to the negative effects of substance abuse. PSAs are shown at SRSLY events, and aired on local cable channels throughout the year. They are also posted on YouTube, under SRSLY Chelsea. A community coalition established to prevent destructive behavior in youth, with support from Chelsea Community Hospital and the Coghlan Family Foundation and the Drug Free Communities Support Program.